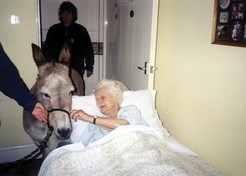 Animals volunteer their services in all sorts of ways. From agricultural assistance to help in the home, they are there, rarely complaining, never critical, occasionally whisking a tail to keep off the flies, but loyal, loving and all unique. 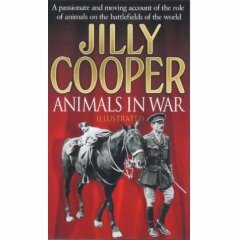 Here's our picture gallery with examples of the ways in which animals help us or play a part in our lives. 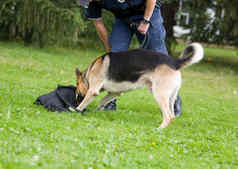 A dog's powerful noses sniffs to the root of the problem and keeps us safe. 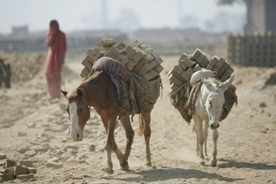 Horses, donkeys & mules help millions of people worldwide earn a living. This photo is courtesy of The Brooke, who helped treat 650,000 animals last year and educated their owners in better animal care. Some 60 million farm animals keep us fed every year all over the world. Find out more about the Compassion in World Farming campaigns- lend your support for better working conditions for these animals. Millions of animals help worldwide with transporting us from A to B & carrying our luggage. Dog sledding, camel trains, donkeys helping to carry shopping (and that's in the UK), pulling barges and boats along canals & rivers. And they won't lose your luggage, like the airlines do! 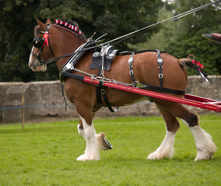 Horses help on the farms - not nearly so much as they did, of course, but could they be one of the answers to our energy problems? 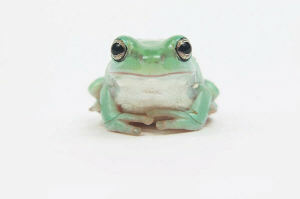 Creatures like this little frog help keep the balance of nature. We may not be able to see them - but their presence matters to the overall wellbeing of everyone on this planet, animal & human. Get involved and protect wildlife. 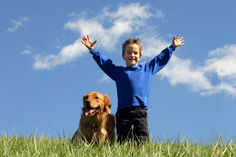 Animals make great confidents & playmates for young & old alike. We never feel silly telling our dreams & fears to our pets; we know they'll just listen and comfort. How often do us pet owners feel that all will be well when we see our pets? How do we feel when we come home at the end of a long day and see our cat waiting & watching for us on the window ledge, or our dog by the front door? Animals reach out and touch in ways that people just can't. They offer friendship and companionship and make it easier to make friends. 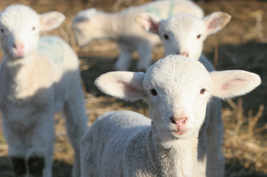 Many animals provide the materials with which we can make clothes - wool for instance. 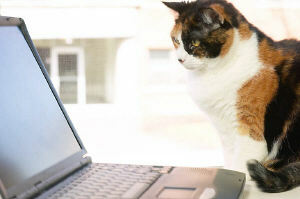 Many animals act as our stress managers - Now, what's your problem? And more importantly, where's my dinner? Many assistance dogs help people with disabilities problems live far more independent lives. 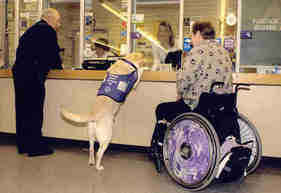 Here's Endal helping out in the Post Office. Many help people overcome illnesses & strokes, such as Pets as Therapyvolunteers. 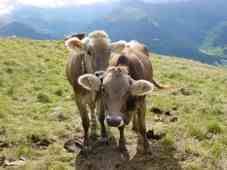 Animals provide opportunities for us to get out in the fresh air and make new friends. 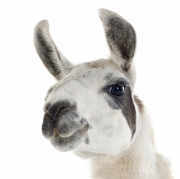 Walk with a llama and feel calmer! Horse riding, walking with wolves,llama trekking, volunteering to walk dogs at animal rescue centres - all great exercise and a good way to meet like minded people and make new friends.